poem quote Archives | Page 3 of 3 | Ms Moem | Poems. Life. Etc. 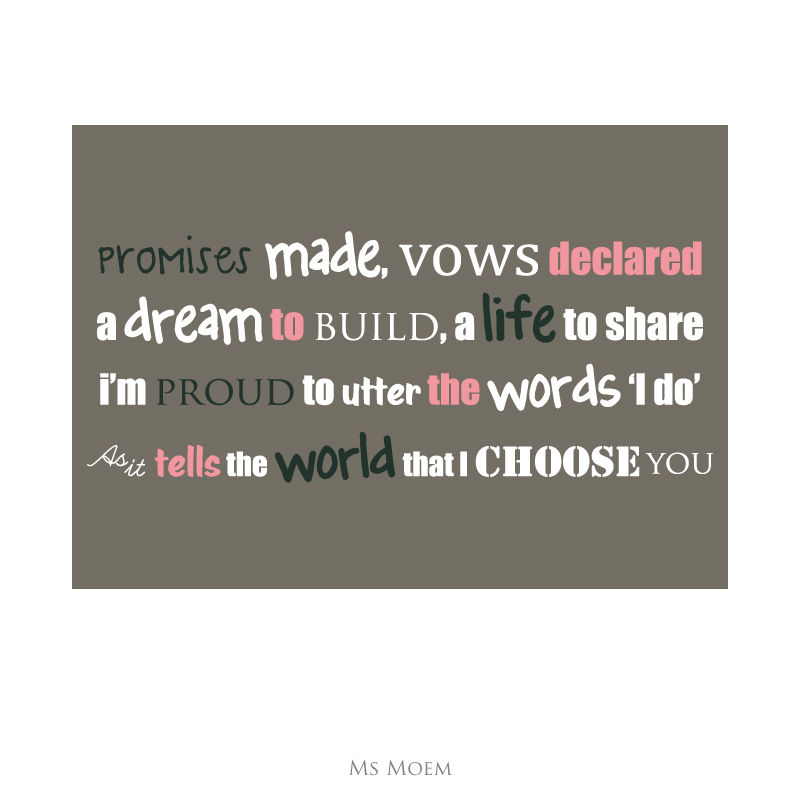 This poem quote is taken from my wedding poem, I Choose You. If you use it at your wedding, please do let me know,, or even better, tweet or instagram me a pic! 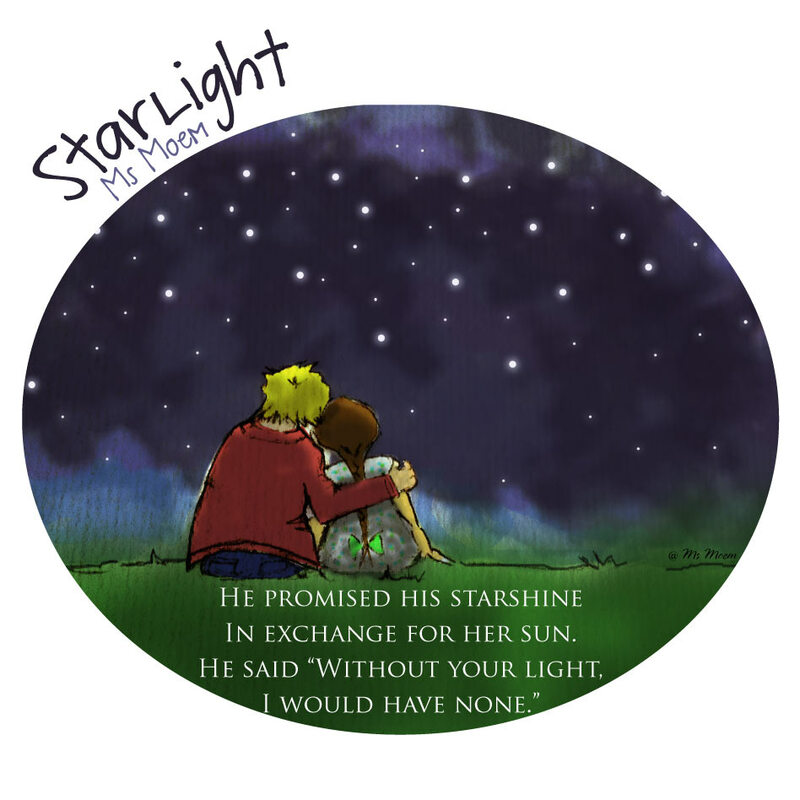 In my journey of creating picture book illustrations, here’s a short and sweet poem I have called ‘Starlight’. What do you think about the picture? Do you think it complements the verse?